Honda RVF1000R – Honda is preparing a new superbike with four-cylinder V engine with which they aim to regain the prominence lost in the World Superbike. 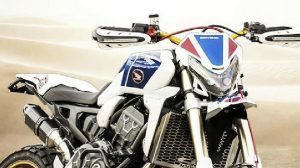 From Japan, Young Machine magazine has produced a render that promises to be very close to the sporty one that Honda will put in dealerships from 2019 or 2020, a motorcycle that, unlike the exclusive RC213V-S of 180,000 euros, the Honda RVF1000R will have a more affordable price in line with other models of the Superbike class such as the new Ducati Panigale V4, the Kawasaki ZX-10RR or the Aprilia RSV4 RF, that is, in the range of 20 to 25 thousand euros. 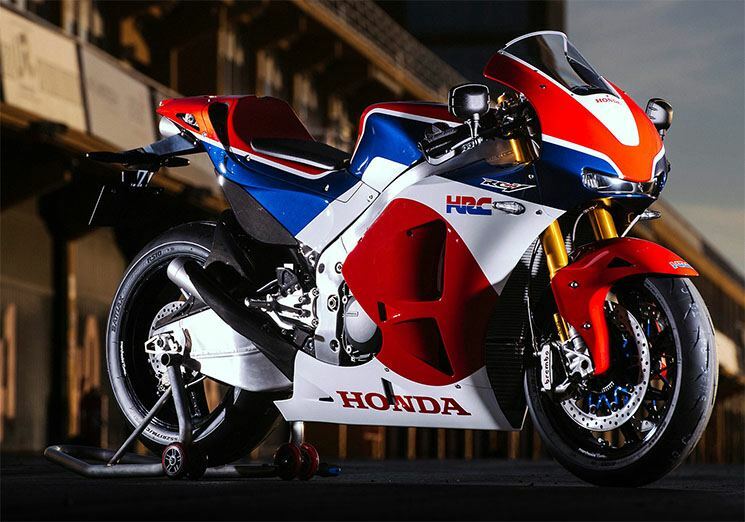 The idea pursued by Honda is to repeat the strategy that the Japanese brand already put into practice in the 90s, when the RC45 -successor of the successful RC30 with V4 engine- coexisted in the market with the Fireblade 900 RR, a model that at that time could not compete in the World Superbike to have a cubicle superior to 750 cc. 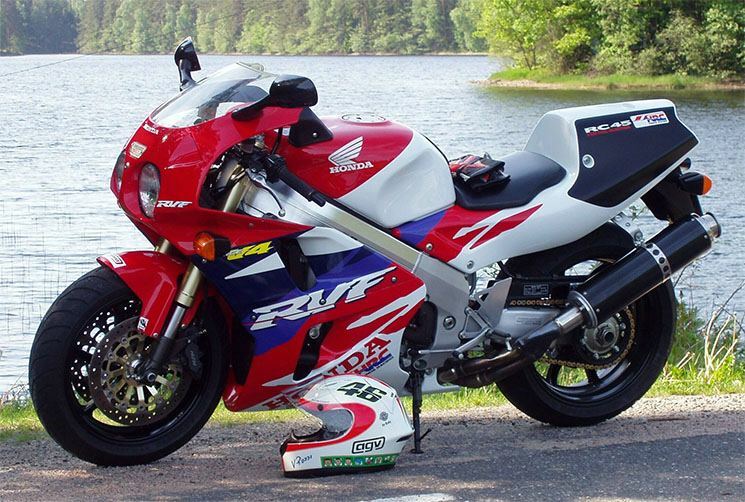 That’s where the RC45 maintained its small niche market, offering a registered racing bike that still, to this day, remains an object of desire for fans of sports bikes of that time. At the end of the 90s, with the changes in the regulation of the WSBK, Honda opted for a configuration of two cylinders, then launching the VTR 1000 SP1, baptized as RC51. Many years later another RC would arrive, in this case the RC213V-S, derived directly from the MotoGP, a motorcycle of which only about 200 units are produced each year strictly numbered, many of them destined to live locked in a museum or a garage private because of the incalculable value they will have in the future. 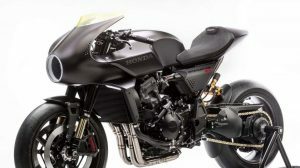 According to the patents that Honda presented in the United States last March -where you can see an engine in V4 configuration with the stock anchored to the chassis as in the Ducati Panigale- it is evident that the future of the brand of the golden wing in Superbikes it is to leave aside the inefficient CBR 1000 RR Fireblade SP2 and bet on a model that will be called the Honda RVF1000R. In its heart, we will find an engine derived from the one already seen in the RC213V of MotoGP, a V4 at 90º that, unlike the street RC213V-S, the Honda RVF1000R will have less exotic materials to reduce costs. 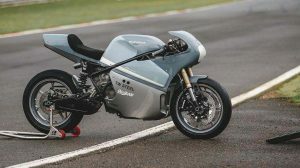 The cycle part will be in line with the rest of the superbikes in the market, while the chassis could be an evolution of the double beam in aluminum of the RC213V that would take advantage of the engine as one more element to reduce its weight and dimensions. And what will happen with the CBR 1000 RR Fireblade? It seems difficult for Honda to quit a model with such tradition and with such an illustrious name. The logical thing would be to think that the Fireblade will continue to be commercialized along with the Honda RVF1000R from 2019 or 2020, offering a more human model, with a significantly lower price and benefits below those offered by the V4, whose estimated power will move between the 210 and the 220 cv. At the moment, Aprilia is the only brand that bets on the configuration of four cylinders in V in the WSBK. As of 2019, Ducati will put on track its Panigale V4, breaking with more than two decades of two-cylinder tradition in this championship, and everything to the point that Honda will be the next to rely on a V4 mechanics to fight for the crown of the Championship of the World of Superbikes in 2020. Please make this so as I have missed the Honda V 4 torque and sound. The Ducati V4 sounds like twin which I think is silly, but that is their trademark. The image above is good and the only change I would make is Gold Wheels. Honda need to do something as the Blade has been flooded to death and the emergence of a 1000 V4 is sorely missed . I know their is Aprillia but the Italians don’t do it as good as the Japanese. Please let this bike arrive in 2019 .